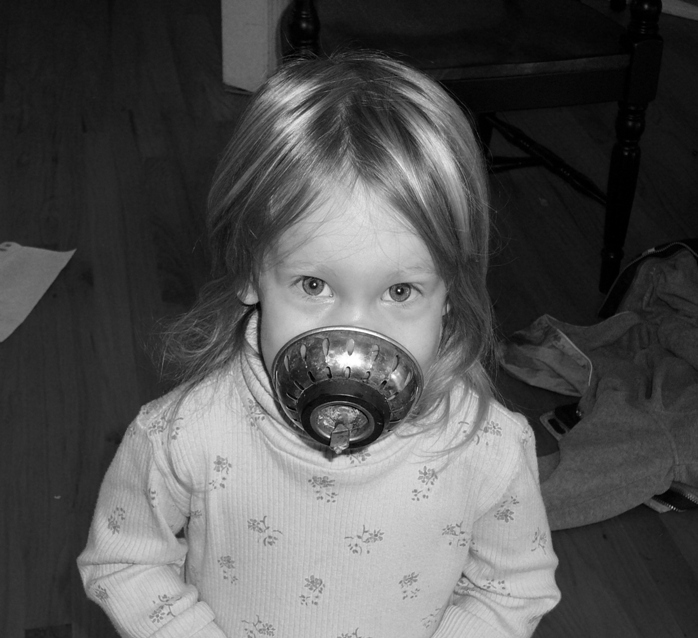 This child has voluntarily muzzled herself. With what household object has she chosen to use as the muzzle of choice? Looks like the sink stopper-upper thing. Hopefully you’re not losing anything down the sink while she’s being muzzled…although that may totally be worth it! It would be in this household for a few minutes of peace and quiet! Correct! I knew this wouldn’t be difficult, but I got such a kick out of her running around with a sink stopper in her mouth. And in a disturbing sort of way, it seemed quite fitting for Halloween week…something Hannibal might of had to wear. Come to think of it, this is what my flesh biting Hope should be fitted with instead!